Satellite Images Raise Alarms About NK Nukes - Joe.My.God. Satellite images showing North Korea making substantial improvements to one of its nuclear research facilities are raising alarms that the regime has little interest in actually giving up its nuclear arsenal. 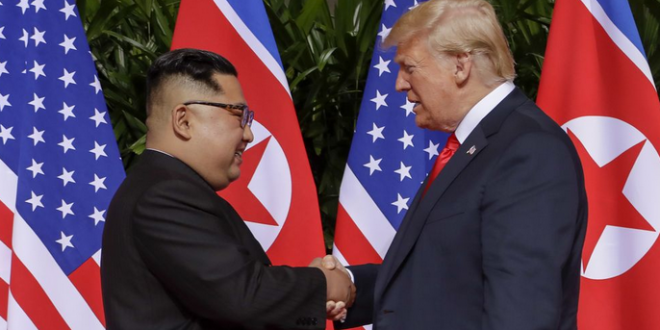 Just two weeks after President Trump and North Korean leader Kim Jong Un signed a deal committing the U.S. to security guarantees in exchange for North Korea denuclearizing, satellite images shows the country making “rapid” improvements to its Yongbyon Nuclear Scientific Research Center, according to 38 North, which monitors the country. NBC News also reported on Friday that U.S. intelligence agencies believe North Korea has increased its fuel production for nuclear missiles at several secret research sites, adding officials fear Kim may try to keep the sites hidden amid negotiations with the U.S.